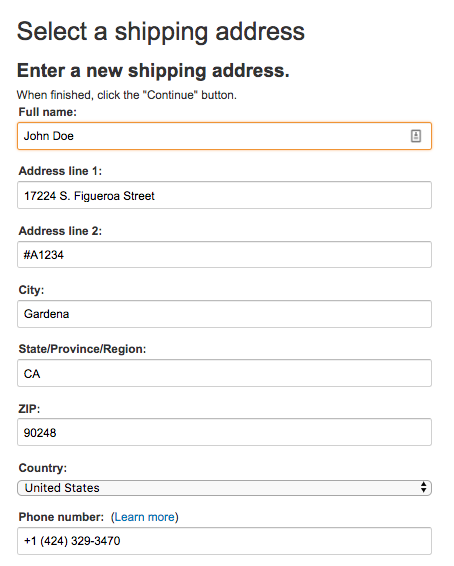 Today's tutorial is for those who want to shop at American Amazon but they don't know, how to fill in the Planet Express address correctly. For better understanding, the guide is illustrated with pictures, so you should be clear on how to do it after reading it. The whole process will be explained in 3 simple steps. This manual assumes that you already have an account with Planet Express to get your own virtual US address. If you do not already have one, sign up for free. The very first step before the purchase is to switch Amazon to the American version. You can do this either by clicking on amazon.com or manually by selecting the United States as a country on the at the bottom of the www.amazon.com page (see photo). 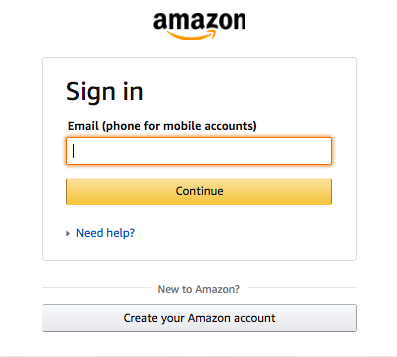 As soon as you select the goods and go to the shopping cart, you will be prompted to log in to Amazon.com account. If you don't have one, create it by clicking on "Create your Amazon account". The most important thing is to fill in your unique number in the form "#A1234". In the "Phone Number" field, you can use our phone number. This number occasionally calls the postman when delivering the package. After payment (you can choose from many payment methods), just wait a few days (depending on the delivery method you selected) before the package arrives at our warehouse (to your US address). Once your package is delivered to our warehouse, we will contact you by e-mail about delivery. Then you just choose the delivery method from the USA to your country in the administration and it's done.